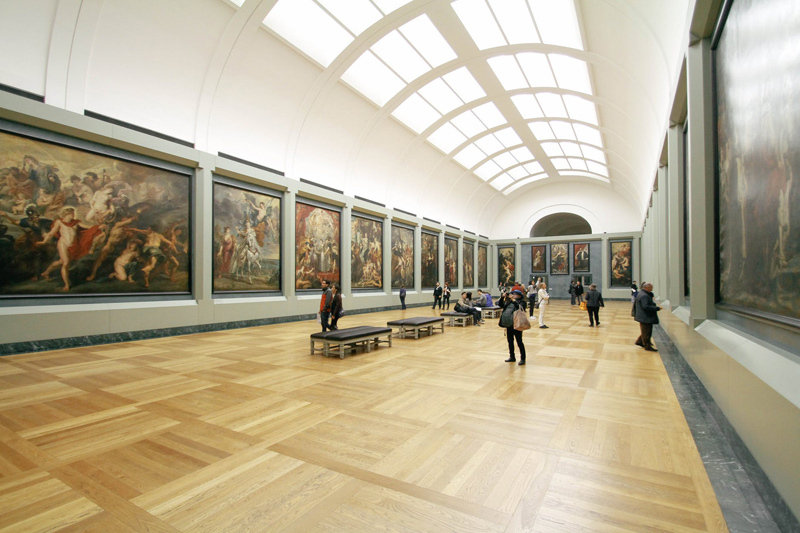 Most museums have an established policy regarding the use of cameras and videography in their galleries. Don’t just assume that you can take pictures. Museum photography policies are established for security reasons or to protect the collection from unnecessary light exposure. Check the museum’s website, tour map or lobby signage to familiarize yourself with the appropriate policies. 1. Call ahead to ask about the museum’s policy. If you are working on a special research project, you might be able to get special permission for photography in advance. Do not assume permission can be granted upon arrival. The admissions staff may not be in a position to alter policies. 2. Be respectful of other visitors. Try not to snap photos that will disturb those around you. Wait until other visitors have finished looking at the exhibits before taking photos. Never step in front of another museum guest or cut in line to take a photo. 3. NEVER use photos taken at a museum for anything other than personal use. Even if a museum permits photos in their galleries, it does not mean you are free to distribute them for profit. Posting them on a personal website or social networking site constitutes personal use. Selling prints or products such as mugs, t-shirts and note cards is NOT personal use. Permission must be obtained before any commercial venture. There may be a charge, but either way you need permission. 4. If flash photography is prohibited, it is to protect the artifacts from unnecessary exposure to light. Even if there are no staff members around, do not “sneak” a flash photo. Be part of the long-term preservation of an artifact, not its destruction. 5. It should go without saying, but do not remove ropes or enter restricted spaces to “improve” your photograph. 6. Tripods are usually not allowed in museum galleries without permission. Again, ask in advance if you are allowed to use one. Content copyright © 2018 by Kim Kenney. All rights reserved. This content was written by Kim Kenney. If you wish to use this content in any manner, you need written permission. Contact Kim Kenney for details.